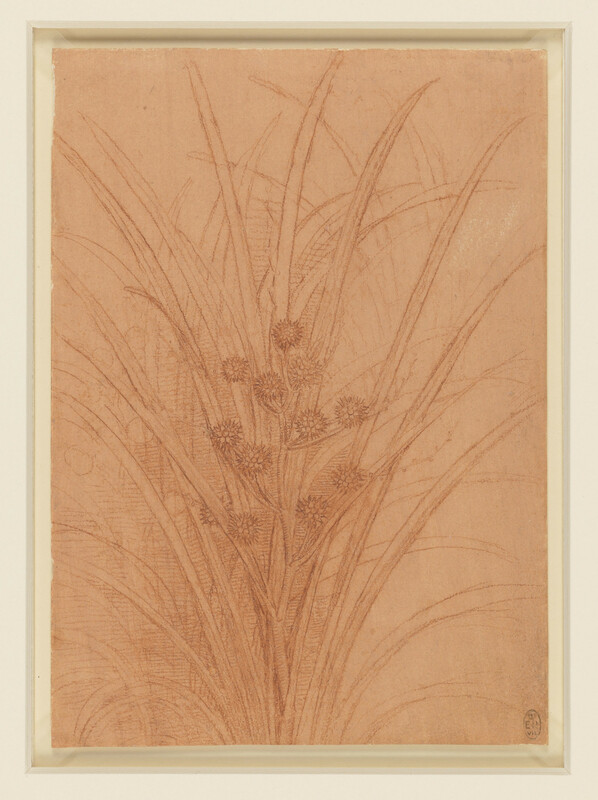 Recto: a study of flowering rushes, showing a group of leaves and a spray of star-like seed vessels. Verso: a study of a bulrush, with one seed-vessel. The bur-reed and the reed-mace (drawn on the other side of this sheet) are found growing at the edges of lakes and rivers throughout Europe. From around 1504 Leonardo worked on a composition of Leda seduced by Jupiter in the form of a swan. This was to have a foreground teeming with plants and flowers, for which Leonardo made a number of detailed studies including this one, whose accuracy goes far beyond what could be found in any contemporary herbal.